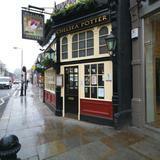 The Chelsea Potter is conveniently located on the King's Road and is a classic London pub serving traditional fare. 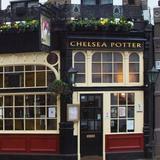 The Chelsea Potter offers outdoor seating on the pavement area, weather permitting. Do you work at Chelsea Potter? What did you think of Chelsea Potter? 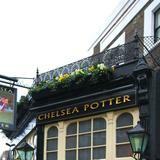 Chelsea Potter is our local. We go there probably three times a week. My husband would go there more if he didn't have rugby!! There is a real friendly feeling at Chelsea Potter it is great. A good pub that plays good music. Very good for the locals, tourists and shoppers stopping off for a drink or two. Good food and well run by a Kiwi who has excellent staff. Very clean as well. 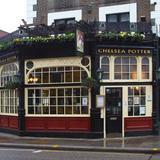 The Chelsea Potter is a King's Road boozer in the traditional sense. It may be a little middle of the road for some, but it offers a comforting charm that comes with familiarity. A traditional pub interior the likes you've no doubt seen before, the Chelsea Potter is a chain pub, albeit of the Chelsea variety. There is some outdoor seating pavement-side, out on Radnor Street, when the weather permits. Located on the King's Road, once at the centre of the Swinging Sixties, the crowd you'll find here these days are more likely to be in their sixties. A mix of locals and tourists drawn to the traditional and typical London pub. 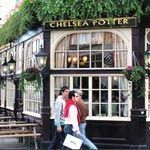 It's very much a case of traditional pub grub at the Chelsea Potter with an emphasis on cheap dishes that will most likely appeal to tourists and the price-conscious diner. A mish mash of British classics and dishes from further afield populates the menu. Bangers and mash, fish and chips and hunter's chicken sit alongside lasagne, seafood salad and "mega chicken tikka masala". Very much a menu for those looking for a no frills feed. A pretty standard albeit inoffensive selection at the bar with the likes of Doom Bar and London Pride for the ale drinker, big name lagers and a relatively large selection of wines by the glass. Pretty standard stuff that will please but not excite. The Chelsea Potter won't necessarily thrill the foodies or craft beer lovers, but for a solid pub experience it's worth a look.